When we think about all the drugs — legal and illegal — consumed in our communities, there is one that stands out as having a massive impact on the health, safety and welfare of community members. That drug, of course, is alcohol. 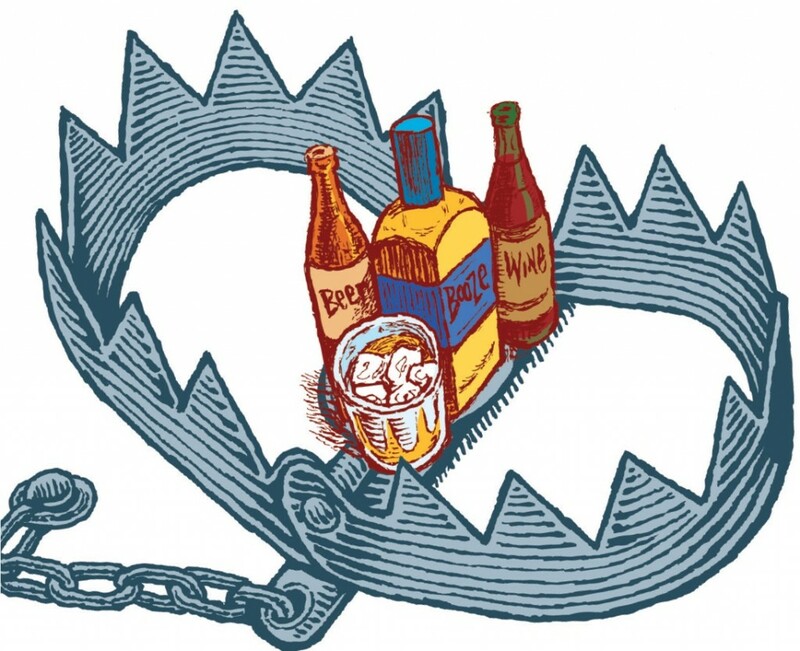 Norman Booker explores what can be done about alcohol. Alcohol is second largest contributor to drug-related harm in Australian society, after tobacco, (Loxley et al 2004) and its misuse is one of the major causes of preventable death. In NSW alone between 1992 and 2001 there were 10,369 alcohol-related deaths and 537,742 alcohol-related admissions to hospital (National Drug Research Institute 2003). The figures speak for themselves, and despite growing community concern over alcohol-related violence and unacceptable behaviour, efforts to rein in the harms caused by alcohol misuse continue to be a challenge our community. There is no simple ‘silver bullet’ strategy that will solve such a complex issue as this. We need to continue to draw on the wisdom and experience of researchers, health professionals, educators, legislators and so many others, including importantly, the community. In the last edition of Inner Sydney Voice (Spring 2014) Charmaine Jones discussed the role of Community Drug Action Teams (CDATs) in her article Community Drug Action Teams — Condone or Condemn? She highlighted the fact that individual community members can bring about change. Providing accurate information, raising awareness and fostering strategies that empower people to make the best decisions about their health and welfare are all CDAT work areas. Lessening the harmful effects of drug use, both at the individual and the community level, is a key goal of local CDATs. In 2011 Surry Hills Community Drug Action Team (SHCDAT) embarked on a collaborative project to look at the evidence on alcohol advocacy and activities in Australia, and to develop some ideas about how CDATs could contribute to work in this area. SHCDAT worked closely with the Centre for Health Initiatives at Wollongong University which undertook an extensive research project that could be used to inform practice. The focus of the research was to review alcohol advocacy groups and activities (mainly in Australia but with some overseas examples) with a view to recommending practical alcohol advocacy strategies which local groups such as CDATs could undertake. Under the leadership of Professor Sandra Jones and Ms Laura Robinson a report was produced paving the way for more innovative responses to this challenging issue. 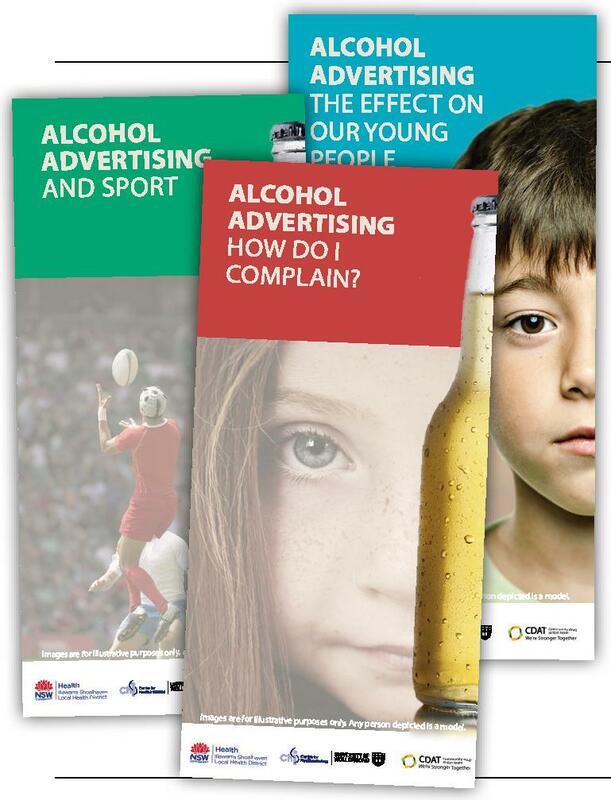 As well as providing a review of the literature, the report provided a valuable listing of agencies and groups working to advocate for reform in alcohol advertising in Australia. Given that the Australian industry’s self-regulatory system for alcohol advertising is generally ineffective, the report identified processes that have been set up to assist with, or to lodge complaints about alcohol advertising. It also showed that there is great value in informing communities about issues of concern regarding alcohol marketing and provided advice about how agencies can support communities to provide evidence for policy change. agenda setting — to develop a media strategy for responding to and initiating local media discussion of the issue. In response to this work SHCDAT, continuing the partnership with the Centre for Health Initiatives produced a series of resources that built on some the recommendations. Three brochures (full colour A4 tri-fold) were designed, piloted, revised and printed for distribution. The brochures were distributed to all CDATs in NSW and are now available for download online. They can be overprinted with local CDAT contact information as needed. Additionally, a draft pro-forma Media Release was developed. This provides a framework which local CDATs and other community groups can use to respond to an issue of concern, to support other initiatives like online petitions and local awareness campaigns. To help in awareness raising and education two other resources are also available. One is a collection of statistics and research findings on alcohol use, the other includes quotes about alcohol advertising, prevalence and promotion. Talking about our concerns and taking position action are the first steps in bringing about real change.